The Wellness Station featuring vegan friendly, gluten free, pescatarian amd vegetarian options will now be open 7 days a week, instead of 5 days a week. The Hampton University administration has taken swift action to resolve issues revealed during and since last week’s Town Hall meeting. We have held a series of meetings with students across campus, including student leaders, fraternities, and sororities. An open meeting was also held with students yesterday on the Virginia Cleveland lawn. All issues are being addressed. In the spirit of transparency, a point-by-point summary follows. Sexual assault matters on the campus of Hampton University are handled by a network of professionals highly trained to deal with these matters. The network includes the Title IX Office, the Hampton University Police Department(HUPD), the Counseling Center, the Health Center and the Office of the University Chaplain. The Title IX Office and HUPD is the investigative arm. The Counseling Center provides emotional support. The Health Center provides medical care. The Office of the Chaplain is fully engaged to embrace the needs of all involved. Members of the senior administration along with representatives from the Title IX Office hosted a series of meetings with student leaders, both male and female, on campus over the last week. During these meetings, students were able to ask questions, voice their concerns and provide suggestions. The University is committed to providing additional educational sessions to the entire University community, including faculty, staff and students, throughout the school year. Informative sessions led by members of the network will be held in residence halls and with student organizations. We will continue to foster an environment where students feel comfortable reporting incidents and understand that when incidents are reported, the investigation will proceed. Please understand that an investigation cannot proceed unless a person steps forward. Therefore, we encourage anyone who has experienced harassment or assault to report it. Hampton University’s sexual assault process is a very aggressive one that is subject to and vetted by independent legal and federal oversight. When an alleged victim comes forward with a complaint, an investigation is conducted, and a report is submitted to the Sexual Discrimination and Misconduct Committee for adjudication. The decision of the Sexual Discrimination and Misconduct Committee is final. As it relates to mold surfacing in buildings, our beautiful campus is surrounded by water on three sides, and therefore is subjected to instances of mold more so than buildings located on drier land. Nevertheless, we have precautionary measures in place and are constantly on watch. 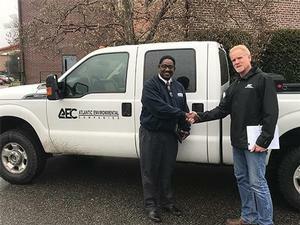 To strengthen our efforts, the University has contracted the Atlantic Environmental Companies (AEC), an independent company based in Chesapeake, VA https://www.atlanticenvironmental.com/ to inspect for mold and mildew in every residence hall. The inspection will include individual rooms and common areas. An assessment of the academic buildings will also be done. It is University policy that mold is to be eradicated upon detection and definitely wiped out immediately within 48 hours. Atlantic Environmental will provide a comprehensive report that outlines immediate and permanent remediation to ALL mold related issues campus wide. Atlantic Environmental will also provide a timeline to complete the work and progress reports will be shared with the University community. The work will begin the morning of Monday, March 5, 2018. 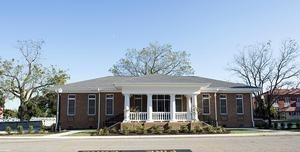 Over the last three years the University has committed $20 million dollars to renovate, upgrade and enhance buildings to ensure a high quality living experience. Students on the first and second floors of James Hall and portions of Virginia Cleveland Hall are already reaping the benefits. They are enjoying new suites complete with upgraded bathrooms and social gathering spaces. 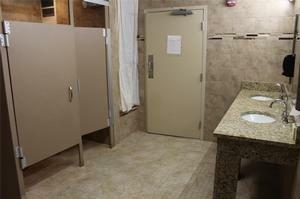 Twitchell and Kennedy Halls now have renovated bathrooms. That’s just the start. Several campus enhancement projects will take place while the students are on summer break. The third, fourth and fifth floors of James Hall will be renovated into suites along with the bathrooms on the third and fourth floors of Twitchell Hall. Construction of a new 52-bed suite-style male residence hall is slated to begin within the month. Pierce Hall will be demolished once the new male residence hall is built. To ensure the safety of on-campus students after dark, the University is currently installing additional lights and cameras, while upgrading and adding to the existing 21 call boxes. At the meeting with the student leaders last week, the administration suggested forming a Food Services Working Group and asked SGA president, Martha Baye, to identify 10 students, with varying classifications, from student organizations campus-wide, to join forces with the cafeteria staff (Gourmet Services) and members of the administration. She has done that and the first meeting of the group has taken place. There will be at least one meeting per month of this group. Dr. Barbara L. Inman, Vice President for Administrative Services is the chair. The first Food Services Working Group meeting was productive. At the meeting, introductions of group members were made and the charge was clearly defined. During the meeting, students asked for an adjustment to the dinner meal hours; customer service training for staff; weekly menus to be distributed on Sundays; increased supervision for all departments and stations; and preparation of a larger amount of entrees so there is enough food to last throughout the meal hours. The cafeteria staff has agreed that these steps will be taken. The cafeteria staff shared that the Health Department does not inform Gourmet Services in advance of inspections as they are held at random. An inspection was conducted again on Monday, February 26, 2018 and the cafeteria passed inspection. In fact, the cafeteria has had three health inspections since Jan. 18, 2018. In all three instances, the cafeteria passed those inspections. By the close of the group meeting, participants were aware of the University’s commitment to excellent food quality and facility maintenance. Everyone left with a clear understanding of the University’s willingness to address student concerns and accept recommendations. The next meeting is scheduled for March 12, 2018. The University has invited two Health Inspectors, one of which serves as a supervisor. The Health Inspectors will answer any questions, provide an “in service” to demonstrate how an inspection is conducted and share general information with the group. Mr. Kerwin Cromartie, Regional District Manager, Gourmet Services and a representative from the Gourmet Services Inc. corporate office will be present. The Vice President for Administrative Services, Dr. Barbara L. Inman, and the Student Government Association President, Ms. Martha Baye, will meet to consider the reinstatement of the “12-2” weekly social event in the Student Center. Two of the major concerns about “12-2” and other campus events are students wearing inappropriate clothing and exhibiting inappropriate behavior during the activity. It is important for students to be aware of their decorum and take responsibility for their conduct at all times. The Hampton University Code of Conduct and Dress Code have often gone ignored by students during the “12-2” activity. There have been instances where students have arrived intoxicated, exhibited bad behavior and dressed inappropriately. This will not be tolerated on Hampton’s campus. Students must represent themselves and Hampton well at all times. Additionally, the Office of Student Activities and student organizations sponsor Holland Hall parties every Saturday night. 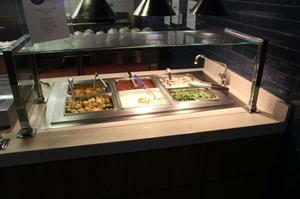 The Student Center food court is open until midnight. While making sure there are a wide array of social activities for students, the administration has also increased the 24 hour computer lab access in the new Student Success Center, which opened in the fall of 2017. The University acknowledges and appreciates the support of the University community in response to the expressed concerns in various meetings. Moving forward, we will continue to address the issues raised on a regular and consistent basis until all have been resolved.